Lionel Messi has stated that he wishes his Argentina side “were more like Germany” ahead of the 2018 FIFA World Cup. The five-time Ballon d’Or winner was speaking to Argentine sports channel TyC Sports, where he confirmed his admiration for the nation that beat him in the 2014 World Cup final in Rio de Janeiro as he looks for revenge in Russia. 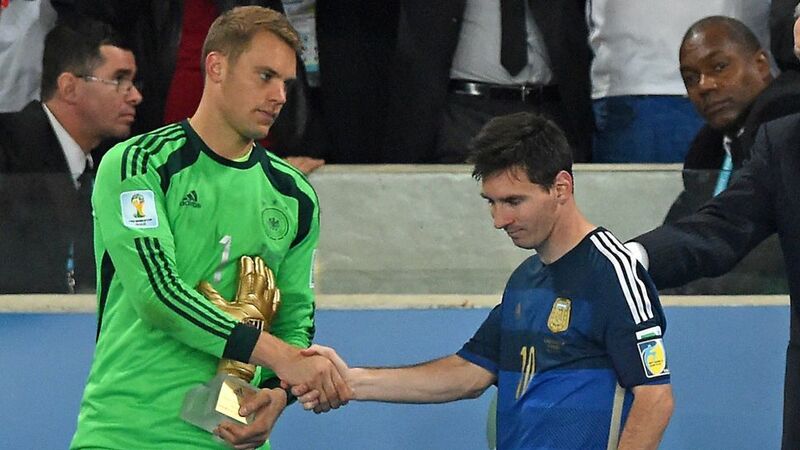 “I wish we were more like Germany and worked like them,” Messi said. “They keep working on a long-term plan and rejuvenate the team at the right time. “They’re already preparing for the next World Cup,” the Barcelona forward continued, likely referencing the extension of coach Joachim Löw’s contract to the 2022 edition in Qatar. Quiz: Who would YOU pick to start for Germany in Russia? Argentina’s hero in a difficult qualification campaign, the earliest Messi & Co. could look to exact revenge on Germany is in the semi-finals should they both finish in the same position in their respective groups. It would be a repeat final if the two nations end their groups in first and second. Click here for all the details on Germany's campaign in Russia!